One of the nice things about living in New Zealand and being the beat writer for that place is that I can pretty much make sure Corey feels jealous of my year list year in year out, regardless of how few birds I have seen and how many he has seen. It doesn’t really matter that he has seen a gaudy Orange Throated Brown Job or Streamered Spangled Spectaculette in whichever Caribbean island he has visited, or how many birds he finds in any particular county of New York (I always thought America had states, not counties like England does, but this isn’t a blog about administrative divisions). 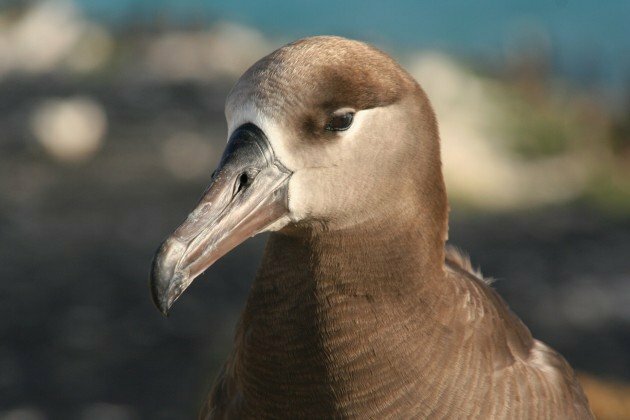 The important thing is that I get to see albatrosses and he doesn’t. I’m not quite sure how he manages it, actually. I mean, granted, he does live near the North Atlantic, the one ocean pretty much bereft of albatrosses (it wasn’t always that way, by the way). But he does live in the States, and America does have albatrosses, and they can be easily seen in California, which is not only in the States but is actually a place I’m fairly sure he visits. Even I’ve managed to see them there, and I am a hopeless birder. Perhaps he’s just unlucky. 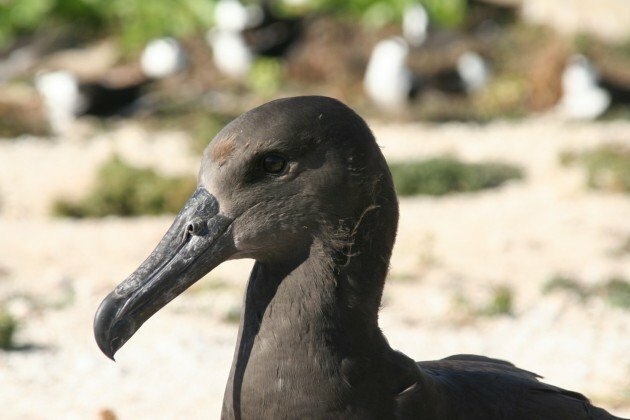 At any rate, here is what he could be seeing if he just opened his eyes (and his wallet to go out pelagic birding), the Black-footed Albatross. 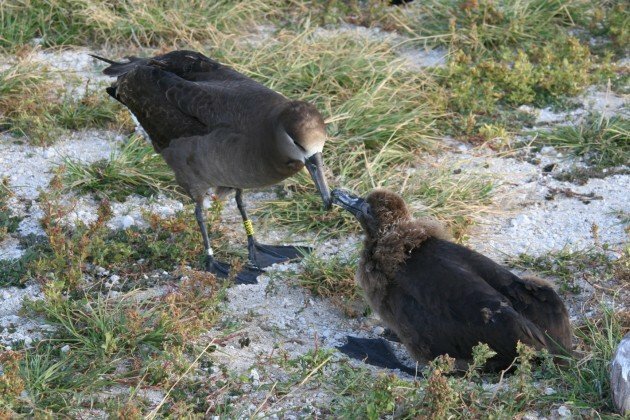 For the most part the Black-footed Albatross is an all-American bird, with 97% of their population breeding in the Northwestern Hawaiian Islands (in the District of Hawaii), and a few others breeding in islands owned by Mexico and Japan. They range across the Pacific in search of food, which is why pelagic birders in Monterey can tick them off their California Province list. They are rather attractive birds, almost completely a deep chocolatey brown as opposed to most albies. I was lucky to work with the species on Tern Island in French Frigate Shoals. 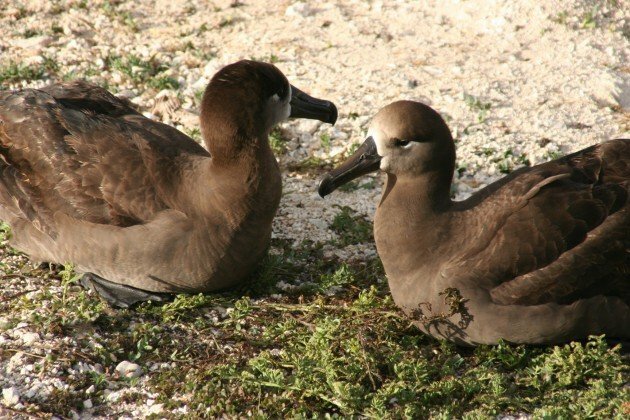 Like all albatrosses Black-footed Albatrosses pair for life, unseen by Corey. 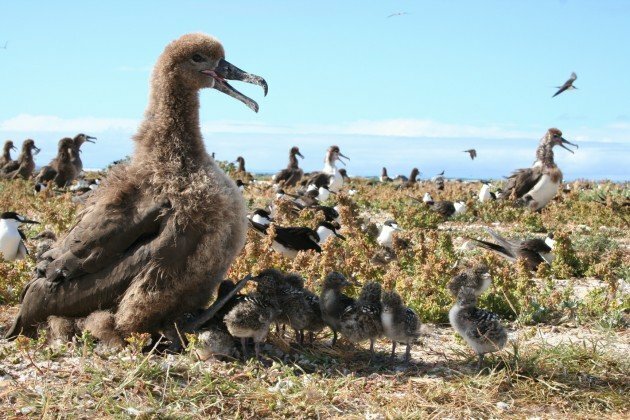 When I was on Tern Island the chicks were mostly grown up. They had mostly lost the Woolly Mammoth like downy feathers. Learning to fly involves testing the wings. An almost fledged youngster, lacking the strong white around the face. 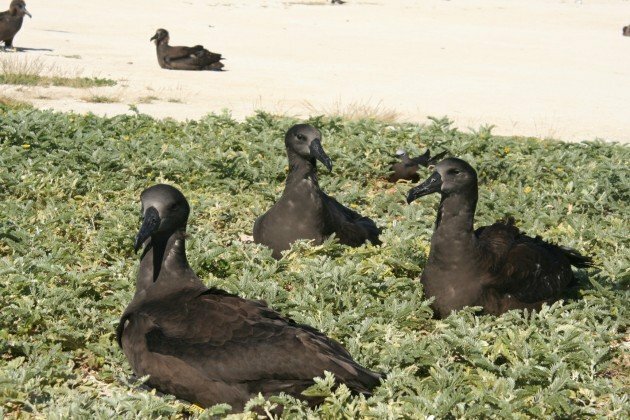 One of my favourite shots from Tern Island, where a Black-footed Albatross chick served as shade for a bunch of Sooty Tern Chicks. So get yourself to the Principality of California (assuming you can get a visa) and check yourself ones of these off your North American (minus all the warm bits with the interesting birds) List! Great post with wonderful photos! I especially love the “learning to fly” and “served as shade.” I REALLY want to see albatrosses one day. Thanks! 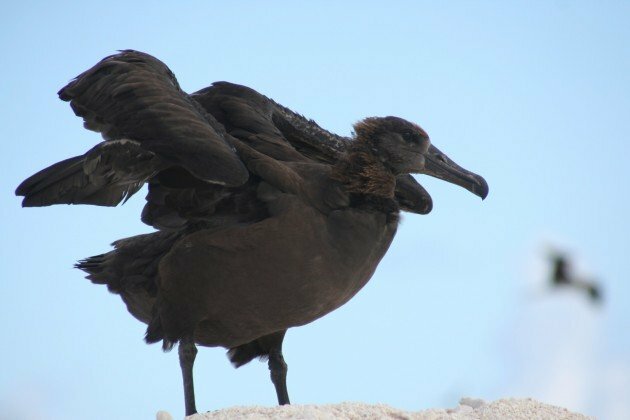 Fun post, and what a neat bird. So the Atlantic had albatrosses? Which? I’d love to learn more. I have seen so many albatrosses that I can say with certainty that they are totally overrated. Boooooooring!